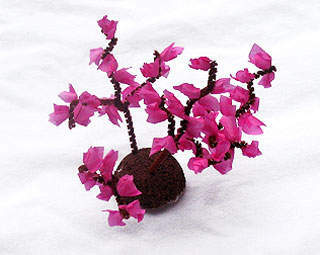 Using a Styrofoam ball for the base and pipe cleaners for the tree, you can make this pretty plum blossoms craft. A great project as a spring craft or for Chinese New Year. Plum blossoms are considered a symbol for courage and hope.